My grandfather and Brian’s father were very close friends so whenever our family has needed a plumber we have always called Brian. Brian and his son, Brian Jr., have always been fast to respond, professional but most of all honest. I bought a house that was built just after World War II so you know the kitchen sink is going to leak at some point, the bathrooms needed to be updated and the basement needed new piping. Brian and his son fixed it for me and they fixed it right the first time. Matt and I have known each other since we were kids. He (like me) went to work for his father and learn the family trade. My house was built in the early 1950’s so pretty much everything needs updating including the electrical box. I called Matt and he did it fast, he did it right and he did it at a honest price. It is good to know there is a family owned company in the community that you can rely on like Bradley & Sons Electric. The O’Gradys and the Boyle’s have been family friends for decades. Tom O’Grady and my father have work hand and hand on many projects over the years, Tom constructing the building and Joe designing and installing the HVAC system. I have known Dan Cross for 10 plus years. He and his sons are the experts when it comes to chimneys. Whether you need a cleaning or liner Dan is the man to call. I have known Kieran since I was in 1st grade and we are still close friends to this day. He and his family are hardworking, dependable and above all honest people. My backyard was a mess when we bought the house so I turned to Kieran. He transformed what was an overgrown and cluttered backyard into a nice patio area where our family can now enjoy outdoor meals. Duct cleaning generally refers to the cleaning of various heating and cooling system components of forced air systems, including the supply and return air ducts and registers, grilles and diffusers. Digital Dispatcher’s Delivery solution is a mobile field management software solution for the Liquid Fuel, Propane and Product Delivery industries. 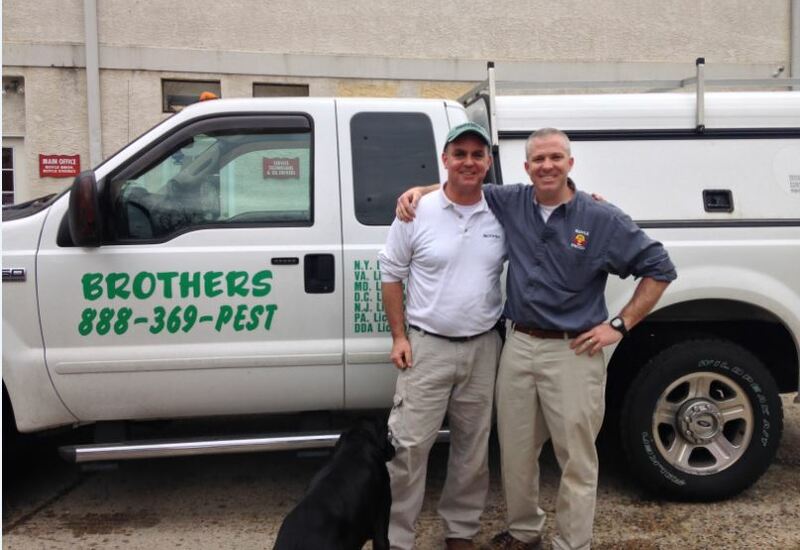 Brothers Extermination provides pest elimination management to residential and commercial customers in MD, NJ, PA, VA, DE, & NY. To learn more about Brothers Extermination you can call 856-251-0064 or 301-261-0243. John Neill Painting & Decorating is a family owned business that has been serving Philadelphia, the Main Line, and surrounding areas since 1975. Due to their ability to continually meet the demand for high quality painting services for both homeowners and designers, the company has flourished over the past thirty years.